After a few days of rumors, it's officially official: Andreja Pejic will be featured in Vogue's May issue. 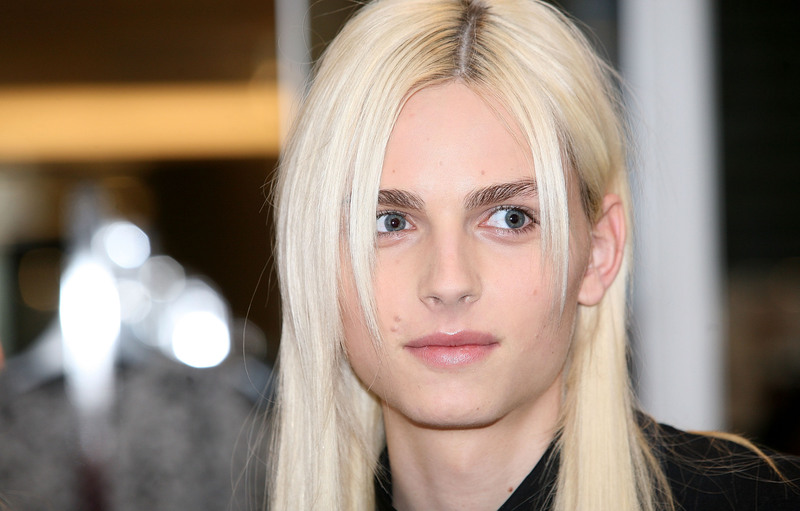 This marks the first time Vogue will feature a trangender model, and it's a very big deal. Although Carey Mulligan will grace the cover of the issue, Pejic is featured in a four-page profile, which will include an editorial shot by Patrick Demarchelier and an interview with Pejic touching on subjects like gender politics in the fashion world and beyond. Long story short — this has the potential to be unbelievably groundbreaking. Pejic will also be the first trans model to land a cosmetics campaign as the new face of Make Up For Ever, which is another huge deal. The model is breaking boundaries left and right, so her Vogue spread is incredibly well-deserve and inspiring. In the Vogue interview, Pejic discusses the landscape of gender politics in fashion, but also what it was like growing up in her shoes, which is an equally powerful story to say the least. “Society doesn’t tell you that you can be trans,” Pejic told Vogue. “I thought about being gay, but it didn’t fit..."
The article also recounts how Pejic was discovered while working at a McDonald's and that, "the scout didn’t know if she was a boy or a girl, just that she looked like a model." Since then, Pejic has modeled and walked runways for designer like Jean Paul Gaultier and Jeremy Scott, identifying as both male and female at different points in her career. Although Pijec has appeared in a handful of editions of Vogue in other countries, this marks her first Vogue appearance since she came out as transgender in July 2014.